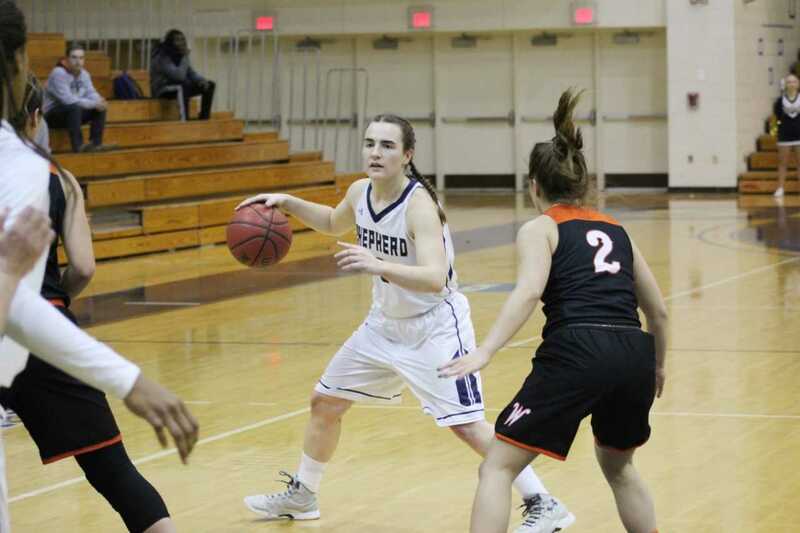 Shepherd senior guard Morgan Arden (3), pictured here in a home victory against West Virginia Wesleyan back on Jan. 17, scored seven of her team-high 21 points in the final 43 seconds of regulation to fuel the Rams' comeback against the Mountain Lions. (William Ransom/The Picket). The Shepherd Rams women’s basketball team (13-14, 9-12 MEC) committed 22 turnovers in its 105-87 road loss to the seventh-ranked Glenville State Pioneers (26-1, 21-0 MEC) in Glenville, West Virginia, on Wednesday evening, Feb. 21. Back on Dec. 2, the Rams lost at home to the Pioneers by a 133-61 score, turning the ball over 35 times in the process. 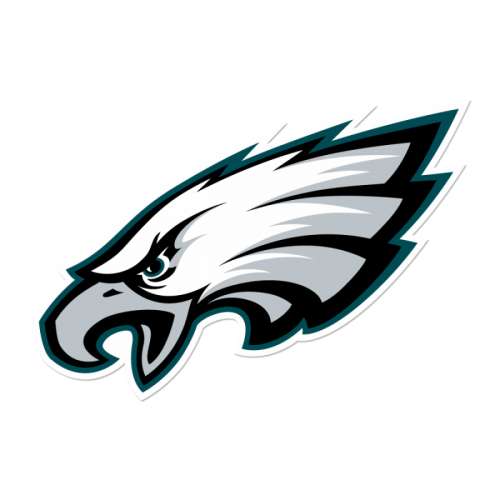 This was something that the Rams knew that they could not do again if they wanted a different result than their last metting with the Pioneers. 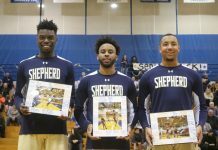 On Wednesday evening, the Rams came out with a little bit better control of the basketball, but Shepherd again displayed great difficulty in defending the Pioneers’ lethal and potent attack on the offensive end. After one quarter of play, the Rams found themselves trailing the Pioneers by a 26-16 score. Glenville State constructed this 10-point lead by continually attacking the basket (at will at times) and converting on numerous layup opportunities. Guarding the paint was a problem for the Rams all game long. The Pioneers registered 39 points in the paint, which helped them get into a nice rhythm offensively against the Shepherd defense. Over the final three quarters of play, however, while the Rams still had a hard time defending the Pioneers, the same could be said about the Pioneers’ defenders with the Rams’ shooters. Shepherd was outscored by a 79-71 margin in the final three quarters of play, but they were able to exchange blows against one of the top teams in the country. Shepherd senior guard Morgan Arden helped lead the charge for the Rams by scoring a game-high 23 points. Arden shot 10-for-22 from the floor on what was a very efficient shooting night for her. Junior guard Kayla Tibbs provided a nice spark for the Rams by scoring 21 points, the second-most in the game. Tibbs was particularly effective from beyond the arc, as she connected on four out of her eight attempts from beyond the three-point line. Liz Moormann, a junior forward, was a nice inside presence for the Rams. Moormann scored 12 points and made five out of her eight field goal attempts and pulled down five rebounds as well. 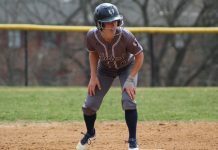 After the game, the head coach of the Rams, Jenna Eckleberry, via text messages, explained that competing with Glenville State helped them stay with the Pioneers for large stretches of the game. As Eckleberry said, the Rams shot better overall than the Pioneers (49.3 percent compared to 45.2 percent) and from the free throw line (60.9 percent compared to 47.4 percent), but the Pioneers were much more effective from the three-point line than the Rams were. On Wednesday evening, the Rams shot a better percentage from the three-point line than the Pioneers (46.7 percent compared to 42.6 percent), but the Pioneers made 20 three-point attempts in comparison to just seven made three-pointers for Shepherd, a 39-point advantage. Eckleberry cited poor transition defense as the key to the Pioneers making all of their three-point shot attempts. No one on Glenville State shot the ball better from beyond the arc than senior guards Kristin DesRocher and Asiya Smith. 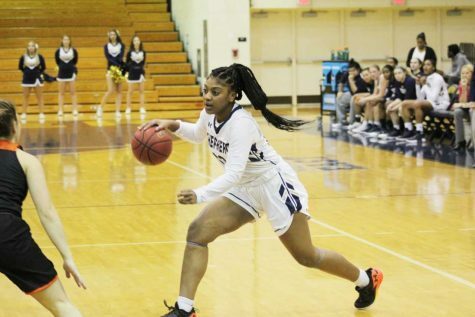 DesRocher, who finished in a tie for the team-high in points with 18 with fellow senior guard Bhrea Griffin, helped stretch the Rams’ defense by making four out of her eight three-point attempts. Shepherd junior guard Kayla Tibbs (13), pictured here in the Rams’ home victory over West Virginia Wesleyan back on Jan. 17, scored 21 points to help take the scoring pressure off of Arden, providing balance to the Shepherd offense. Smith made four out of her seven three-point attempts in her 16-point outing. She also tied a team-high with six rebounds. The Pioneers were able to share the ball a little bit better than the Rams as well. On the evening, the Pioneers dished out 25 assists compared to 17 for the Rams. Glenville senior guard Bhrea Griffin continually found her open teammates who often times buried their open looks. Griffin finished with a game-high six assists, constantly frustrating the Rams’ defense with her passing and scoring abilities. Despite how well the Rams played on the offensive end, constant defensive mistakes continued to help the Pioneers grow their lead. The Rams never cut the Pioneers’ lead to fewer than 13 points in the second half, as the Pioneers’ offense was in a great rhythm from start to finish. If the Rams were able to take better care of the basketball and make just a few more shots, there might have been a different outcome in this one. However, the Pioneers were able to execute at a higher rate than the Rams on Wednesday evening, helping them earn the 105-87 victory. Following the game, Arden, via text messages, gave her thoughts on what stands out to her about Glenville in terms of their strengths and what they excel at. “Glenville’s press helps them to succeed and they have a team full of players who can all drive and shoot the ball which makes defending them tough,” Arden said. To Arden’s point, the 22 turnovers that the Pioneers were able to force led to 26 points to help fuel an already surging Pioneers’ offense. Arden credited the Rams’ aggression in being able to score 40 points in the paint. “We stayed aggressive, [and] kept driving to the basket, and got the ball inside whenever we could,” Arden said. This loss puts Shepherd in eighth place in the Mountain East Conference (MEC) standings. 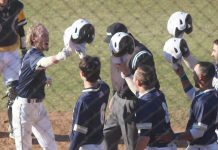 On Saturday afternoon, Feb. 24, Shepherd will host the Fairmont State Fighting Falcons for an immensely important game in determining their seeding in the MEC Tournament next week. If the Rams win on Saturday, it could potentially cause them to move up in the MEC standings, depending on how the tiebreakers work with Urbana, whom the Rams have split the season series with and trail by just one game currently in the MEC standings. With a loss, the Rams would not fall below the ninth seed for the MEC Tournament in tiebreakers with Charleston and Concord.